Gonzaga is all growns up, but can they finish strong? Remember when Gonzaga was college basketball's Cinderella story? 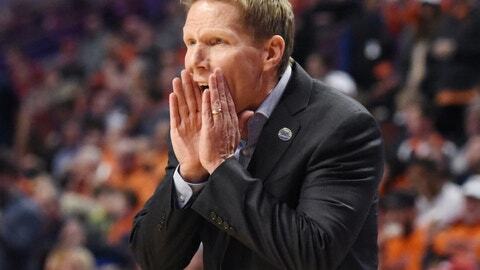 Heading into tournament play, Mark Few's program boasts the top record in the nation at 32-1 behind balanced play from Nigel Williams-Goss, Przemek Karnowski and company. Will your 2017 FOX Sports / Sports Illustrated Bracket Challenge sheet pencil the Bulldogs in all the way through to Phoenix and the Final Four? 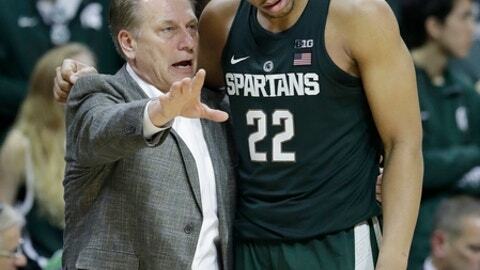 While the rest of the bracket's top-ranked squads look familiar with Kansas, defending-champs Villanova, North Carolina, and Duke all in the top 10, you must admit it's weird to see Tom Izzo's Michigan State Spartans owners of double-digit losses and outside the Top 25 in the polls and RPI/BPI rankings. Yet, somehow they snuck into the tournament as a No. 9 seed. It will be a challenge - but not impossible - for the top-seeded squads to advance to Phoenix and the Final Four. Five of Bill Self's Kansas Jayhawks regularly average 30-or-more minutes per game and are led by senior Frank Mason Jr.'s 20.5 points per game. UCLA's Lonzo Ball helped lead the Bruins to their best title shot since Kevin Love and Russell Westbrook were in school. Two of Villanova's three losses have come to the Butler Bulldogs in 2017 as the Wildcats look to cut down the nets for the second year in a row. As always, the WhatIfSports college basketball simulation engine projected game-by-game winners to help fill out your 2017 bracket. You should also check out the most popular picks among Bracket Challenge entrants and follow the round-by-round action via BracketTrax. Sign up for FOX Sports / SI Bracket Challenge for a chance to win great prizes! After 1,001 bracket simulations, WhatIfSports college basketball sim engine likes the Southern Methodist Mustangs as a potential sleeper. Winners of 16 straight games, the engine advances SMU to the Sweet 16, 37 percent of the time, Elite 8 nearly 17 percent of the time, and Final Four nearly nine percent of the time. Tournament Fast Fact: Since 1985, only 52 times - or 8.2 percent - have No. 6 seeds reached the Sweet 16. The Mustangs look to buck this trend according to the simulation engine. After Kansas and Louisville, the sim engine gives No. 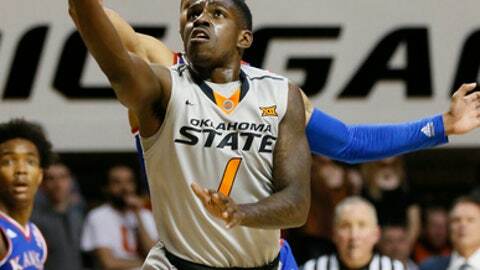 10 seed Oklahoma State the best shot at reaching the Elite 8, Final Four and Championship out of the Midwest Region. The Cowboys advance to the Sweet 16 in nearly 36 percent of the 1,001 bracket simulations. They also have better than a 1-in-4 shot to reach the Elite 8 and 13 percent chance at the Final Four according to the sims. Tournament Fast Fact: No. 10 seeds are 8-for-256 (3.1 percent) in reaching the Elite 8 since 1985 and have reached the Final Four only once. Of the top 15 teams with the best odds of reaching the Sweet 16, Marquette is the only double-digit seed. The Golden Eagles 41.9-percent crack at reaching the field of 16 ranks only behind No. 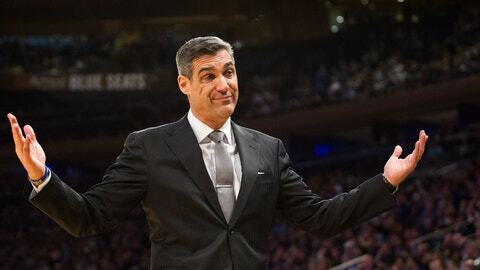 1 seed Villanova, No. 2 Duke and No. 3 Baylor in the East Region. However, Oklahoma State actually edges Marquette for the lowest seeds with the best odds to cut down the nets in Phoneix. The Cowboys won the title in 4.2 percent of the simulations compared to the Golden Eagles’ 3.7 percent. 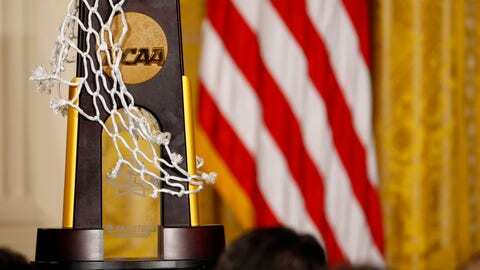 Tournament Fast Fact: The lowest seed to reach (3x) and win a National Championship (UConn) were No. 8 seeds. Because our 2017 Bracket Preview is formatted to simulate a 64-team field, we simulated these first round games 1,001 times and advanced those teams to the second round. 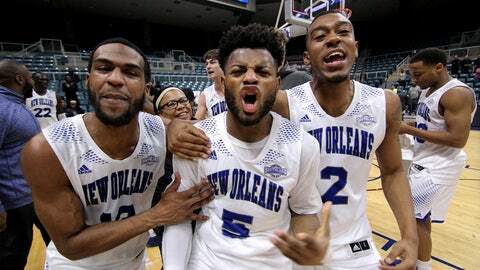 The New Orleans Privateers make their first trip to the tournament since 1996 after winning the Southland Tournament. Eight players average 30-or-minutes per game led by Erik Thomas' 19 points and nearly eight rebounds per game. Mount St. Mary's began the season 1-11 before boasting an 18-4 record down the stretch. The simulation engine heavily favors the Privateers to win 78 percent of the time and advance to play Villanova. They beat the Mountaineers by an average score of 74-66 in the 1,001 sims. 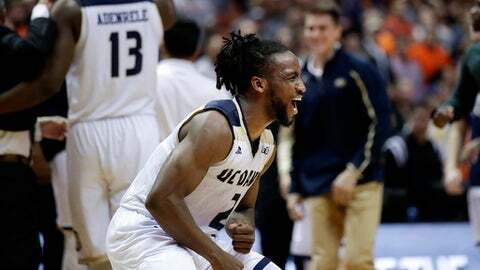 The UC Davis Aggies are dancing for the first time in school history. The program earned Division I recognition in 2004 before joining the Big West in 2007. So, compared to most tournament squads - Northwestern aside - the Aggies are pretty green. North Carolina Central make their second appearance in the tournament, but roll into the postseason toasty - winners of 16 of their last 18 games. The simulation engine elected to ignore the Eagles' hot streak and advances the Aggies 57 percent of the time in the 1,001 simulations. Keep the faith NC Central, your 43 percent chance of advancing is basically a coin flip during March Madness. First Four: Demon Deacons squeak by Kansas St.
Wake Forest finished 9-9 in the ACC, while Kansas State was 8-10 in the Big 12. But remember, the simulation engine doesn't get drunk on past wins and losses as they prioritize the 2016-17 statistical resume more. The Demon Deacons beat the Kansas State Wildcats 55 percent of the time by an average score of 83-82 in the closest First Four simulation. Before losing to UCLA by just two points in the Pac-12 tournament, USC was 8-4 in their previous 12 games. 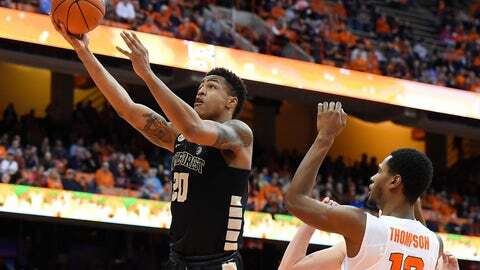 The Friars posted just a 4-9 record in the middle of the season, but were 6-1 in their final seven games. The sim engine likes the statistical make-up of the Trojans as they are heavy favorites in the 1,001 sims. 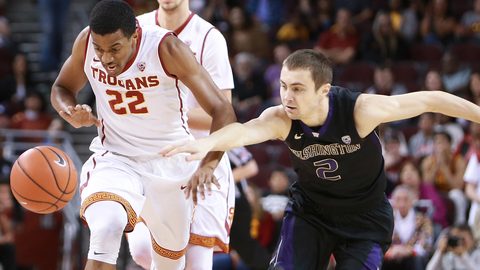 USC won 70 percent of the time by an average score of 82-76.